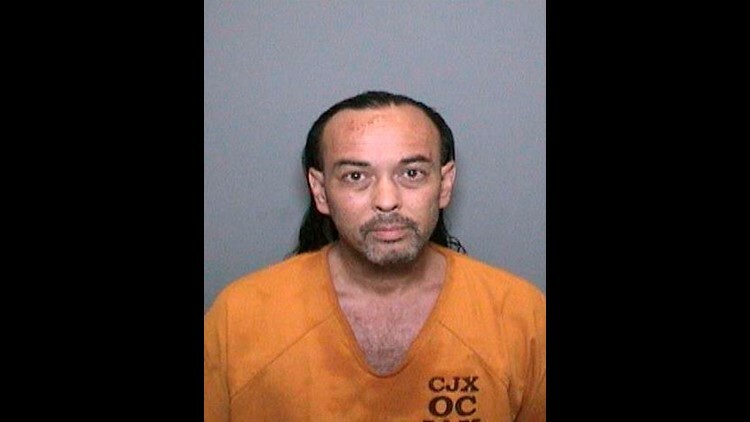 Authorities have arrested a man accused of sparking the Holy Fire, the wildfire that has scorched more than 6,200 acres in the Cleveland National Forest since Monday, August 6, 2018. 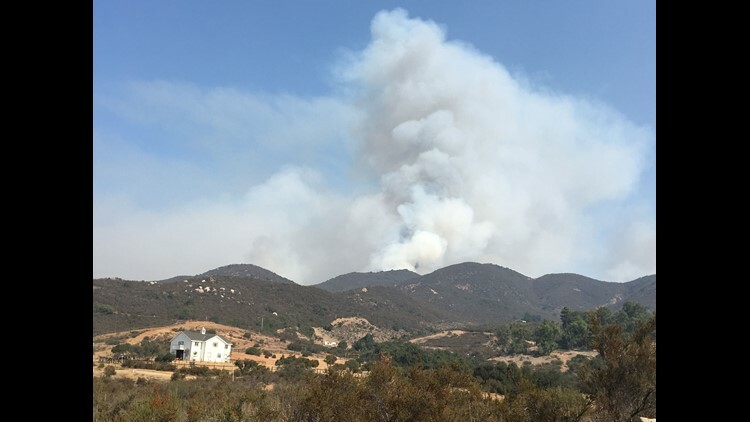 Even as the Holy Fire rips across valleys along California's Riverside-Orange County line, more residents are being ordered to evacuate, and the man accused of setting the blaze, which is now 10,236 acres, or nearly 16 square miles, awaits a rescheduled arraignment Friday. Firefighters can be seen outside of Hell's Kitchen Motorsports Bar & Grill on Highway 74. 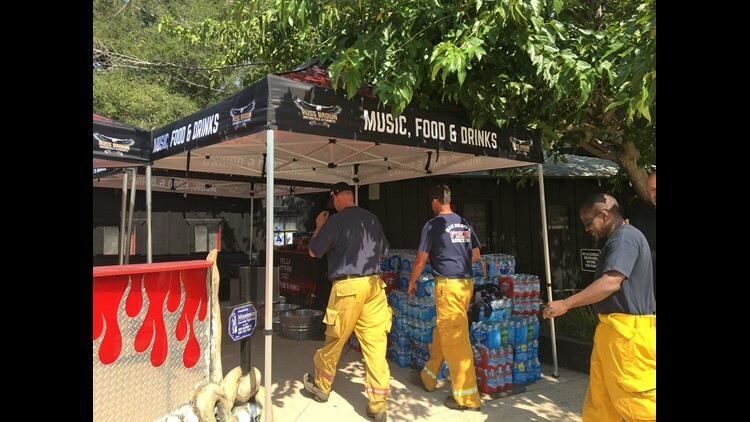 Firefighters are using this restaurant parking lot as a home base. 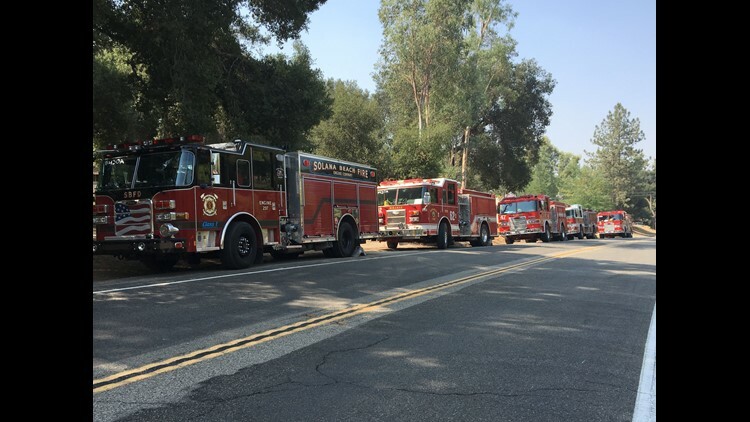 Firetrucks line up to battle the Holy Fire, the wildfire that has scorched more than 6,200 acres in the Cleveland National Forest since Monday, August 6, 2018.